Clearly, this website is dedicated to all things Red Sox, but your humble Editor-In-Chief was—for a brief, fleeting moment—a fan of the Baltimore Orioles. In was in the pre-Impossible Dream era when rooting for the Red Sox was a real chore—especially for a young kid. So, after a friendly encounter with some Orioles players at Fenway in 1965, I started rooting for the Birds in 1966. It was Frank Robinson's first year with the Orioles as well, after being traded over from the Reds at an 'old 30' years-of-age. Not only did Robinson lead the Orioles to a World Series Championship over the mighty Dodgers in 1966—he also won the Triple Crown and the AL MVP (the only player ever to do that in both leagues). He was also the first African-American Manager in Major League Baseball—achieving that with the Cleveland Indians in 1975. His greatness as an athlete was foreshadowed by his performance on his Oakland, California High School basketball team—which he captained. That in and of itself was impressive, since his teammate was the legendary Bill Russell. 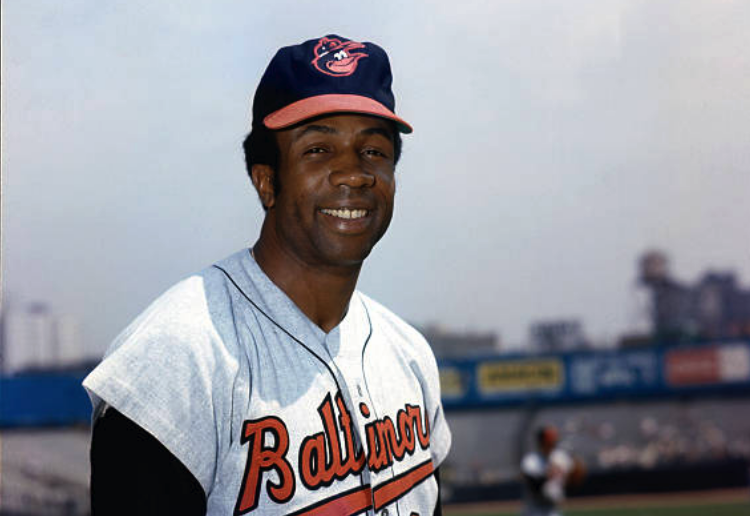 The great Frank Robinson passed away today at the age of 83. No matter which team you root for, if you are a fan of baseball excellence, you should mourn his passing today. He was a true giant of the game.